"Bermuda Calendar April 2019 for Conferences, Conventions & Community"
Many local business and community organizations have meetings this month. We show a free hyperlink to them when they reciprocate the courtesy. See our Links and Mentions policy at http://www.bermuda-online.org/links. For another listing of daily events see The Royal Gazette daily newspaper's http://www.royalgazette.com/pdf/twib/twib_calendar.pdf. Cruise ships begin arriving for 2019 season. Harbour Nights festival begins weekly on Wednesday evenings (to October). April 11-13. Bermuda Agricultural Show. Bermuda Botanical Gardens. Paget. Annual exhibition that attracts tens of thousands of residents — both young and old — from across the island, and visitors. The Botanical Gardens becomes a hive of activity for three days. The Ag Show has been an institution in Bermuda for generations and almost all Bermudians have fond memories of it. It offers an opportunity for people of all ages and backgrounds to get together, share stories and experiences, and participate in friendly competition. The AG Show Ltd is now a registered charity, established in February 2015 for the purposes of holding the annual agricultural exhibition. The annual Show is still a fixture in all British counties in the UK where farming is still a major part of the local economies but is no longer the case in Bermuda where it welcomes as many as 25,000 attendees over three days and features up to 4,000 exhibitors. The show will celebrate agriculture, horticulture and animal husbandry. Locally, it has a rich history. Its roots extend back as far as 1843, when then-Governor Major General Sir William Reid encouraged the adoption of agriculture on the island, where principal occupations included shipbuilding and seafaring. The Governor organized an agricultural exhibition with ploughing matches at Mount Langton and the whole colony became interested in farming. April 14. Bermuda National Trust Palm Sunday Walk. Hundreds of people will explore the West End. The five-mile walk will begin in Cross Island at 2pm, no later than 3pm, and should take 2½ hours to complete. Organisers say it will provide breathtaking views and visit spectacular sites of national significance, important cemeteries, secluded beauty spots and countless historic buildings and structures. There is no charge for participation, although donations of $5 would be appreciated. Parking will be at Cross Island but people are encouraged to take the ferry from Hamilton. Participants are advised to wear sensible shoes. The route is not suitable for strollers and dogs are not permitted. Road users in the West End are urged to use care. Sompo International, the sponsor for the event, described itself as a supporter of the Bermuda National Trust and its role in preserving the island’s open spaces and rich heritage A spokeswoman said: “Sompo International looks forward to the annual spring walk as a way to promote both environmental awareness and physical and mental health.” John Barritt & Son Ltd will provide refreshments but people should bring their own drinks containers as water will be provided. Sweet Saak hot cross buns will be available for a $2 donation. For more information, visit www.bnt.bm. April 19. Good Friday Public Holiday. April 21. Her Majesty the Queen's actual birthday, 94 in 2019. She is Britain's, Bermuda's and the rest of the British Commonwealth of Nations' longest-ever living sovereign. April 21. Easter Sunday in 2019. Easter Sunday services island-wide. April 23. St. George's Day, the flag of England - see http://en.wikipedia.org/wiki/Flag_of_St_George - in the UK. 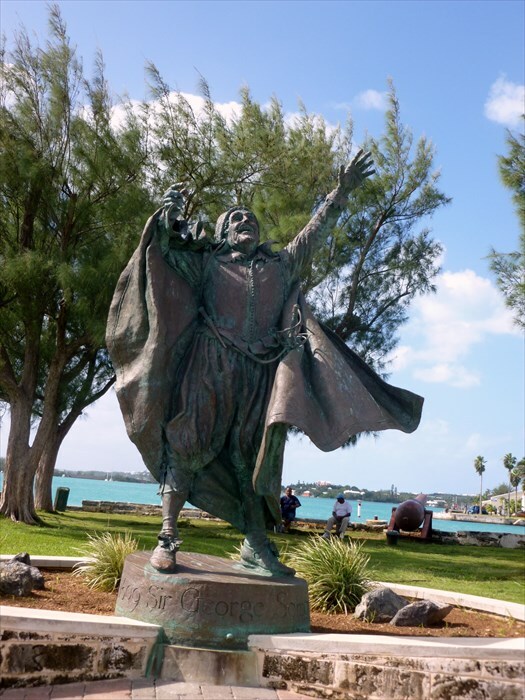 One of Bermuda's Parishes, the Town of St. George and English Admiral Sir George Somers, who founded Bermuda, are named after the saint. St. Peter's Church flies the flag of St. George on this day. 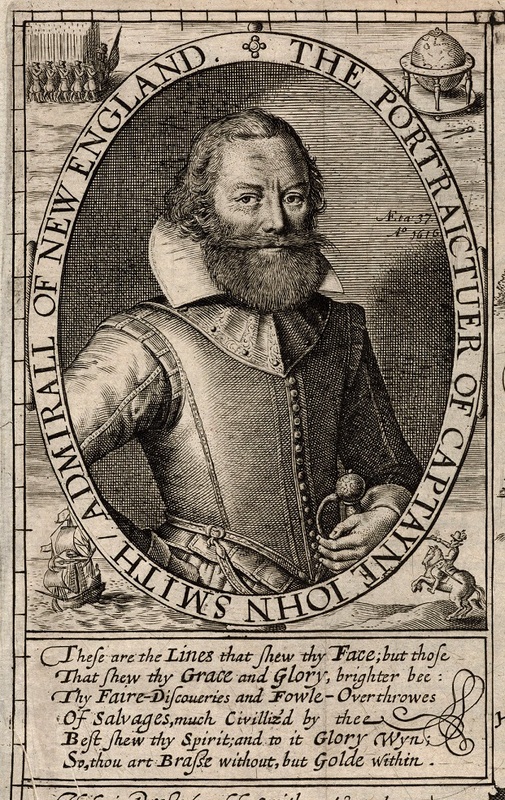 Also, today is the 450th anniversary of the birth of William Shakespeare - see http://www.shakespearesbirthday.org.uk/ whose 1610 "Tempest" was later proved to have been based on the 1609 discovery of Bermuda led by Admiral Sir George Somers. April 24. St. George's Day. Peppercorn Ceremony. 203rd in 2019. Hundreds gather in King’s Square to watch the annual event. The annual tradition in St George’s is based around Freemasons paying their symbolic rent for the Old State House. Numerous civic leaders are present to watch the treasurer for the Freemasons officially pay the peppercorn rent which is unchanged in two centuries. Festivities include a parade by the Royal Bermuda Regiment. Freemasons represent lodges from several countries, Attended by the Governor and his wife, Premier, MPs from both sides of the House of Assembly, and the Mayor of St George’s, After his speech, the Governor’s council leave to conduct the annual meeting in the Old State House. Strains of bagpipes echoed through the streets of St George as the town marks one of the oldest traditions in the Island’s history. The passing of a simple, symbolic peppercorn from the Freemasons Lodge to the Accountant General, and the accompanying pomp and ceremony, attracts hundreds of locals and visitors to King’s Square. Bermuda Regiment soldiers stand to attention as the town's Mayor and Bermuda's Governor arrive in a horse-drawn carriage to continue a ritual that dates back to 1816. Within the town are 170 listed buildings, 10 historic monuments, six forts and one unfinished church. The town of St George is an original and in 2000 gained Unesco status. The event dates back to 1816, when the capital of the island was moved from St George’s to Hamilton. The event is traditionally held on the Wednesday closest to St George’s Day, April 23, but this year 2018 the event has been moved to St George’s Day itself. April 27. International sports event, MS Amlin World Triathlon Bermuda. year’s race, which will see 100 athletes compete for Olympic qualifying points. More than 600 total participants are expected to take part in the weekend event. The MS Amlin World Triathlon will be the second of three annual World Series Triathlon events that Bermuda will host. The ITU Grand Final and Age Group World Championships will be held in 2021. April 28, Sunday-May 1, Wednesday. Risk Management Society (RIMS) (Annual) 2019 Conference and Exhibition. Boston Convention & Exhibition Center, 415 Summer Street, MA 02210, USA. 10 am to 5 pm. Will have a diverse range of educational sessions facilitated by risk management innovators and practitioners. More than 400 companies will attend including many from Bermuda. Bermuda's Premier David Burt will lead a delegation of government, regulatory and industry leaders. The Bermuda Business Development Agency coordinates the island’s presence at the prestigious insurance event including an executive industry forum, media interviews, meetings with Rims, civic and business leaders, a Bermuda networking reception, and a trade-floor booth, all highlighting the island’s leading global insurance market, and promoting June’s Bermuda Captive Conference. Joining the government at Rims 2018 will be representatives of Bermuda’s insurance industry, the BDA, and the Bermuda Monetary Authority. May 4. Bermuda (32nd in 2019) End to End. Sponsored in 2019 by AXA XL. When it first began, it was a grassroots effort, three fellows challenging their friend to see if they could walk from one end of the island to the other, which at the time was quite unusual. Since its inception, the event has provided more than $5 million to charities through 190 grants. Participants collect pledges and pick which discipline they want to compete in — walking, cycling, swimming, rowing, or paddle boarding. Different course distances are also offered. “In the end, the great thing is that, because of all their endeavors, the charities get the benefit, Bermuda benefits, so all benefit. For more information, call 292-6992 or visit bermudaendtoend.bm. In 2017 there will be 20 water stops along the route from Kindley Field Road to Gray’s Bay, with participants invited to vote for their favourite water stop. Bermuda Power Boat Race. Royal Naval Dockyard. Harbour Nights in Hamilton, until August 31. Every Wednesday evening. Social event, also features chefs, musicians, Gombeys and more. Annual Reunion of Bermuda Volunteer Rifle Corps Overseas Association at Warwick Camp on first Saturday in May. Argo Gold Cup. Hamilton Harbour, in front of Royal Bermuda Yacht Club. Over these days of competition as many as 16 sailing teams compete for the King Edward VII Gold Cup. It is the world's oldest match-sailing trophy for one-design 6 meter yachts. Antigua to Bermuda Race. Royal Bermuda Yacht Club, third edition in 2019. The 935-mile offshore race is organized in association with Antigua Sailing Week and is supported by the Bermuda Tourism Authority. Yachts of 40ft and over will be racing under the IRC Rating Rule, MOCRA and the CSA Racing Rule, with the latter amended to permit boats to use their engines, subject to a time penalty. May 17-18. Relay for Life 2019. Annually. From 6:30 pm, North Field, National Sports Center. A tribute to those who have had or will encounter cancer. Cancer survivors are invited the walk a Victory Lap. 2019. February 4. The annual Relay for Life event has brought vital aid to Bermudians lacking insurance coverage, a Bermuda Cancer and Health Centre spokeswoman said. Now in its sixth year, the 24-hour walk dedicated to cancer fighters, survivors and caregivers has raised millions. Deborah Titterton Narraway, the BCHC’s chief marketing officer, said that there was “no out-of-pocket payment” for patients coming to the charity who were underinsured or who did not have health insurance. Patients’ treatment can be subsidised through the organisation’s Equal Access Fund, which gets a major funding boost through the Relay for Life. Last year, more than $780,000 was raised at the relay — all of it going to the Equal Access Fund to cover diagnostic services and radiation treatment. Close to $3 million has been raised over the past five years of Relay for Life, Ms Titterton Narraway said. Its first four years drew $2.2 million towards the building of a $10 million Radiation Therapy Unit. The unit can treat 95 per cent of cancers where radiation is recommended, allowing residents to get care on the island. Ms Titterton Narraway said: “Being able to do it at home where people are still able to go shopping, still able to go to work, to celebrate a birthday with family, adds so much to the quality of life.” The financial assistance offered to those who are uninsured or underinsured have also helped patients to cope. Ms Titterton Narraway said: “When patients find out they don’t have to pay anything from pocket, that is such a huge weight taken off their shoulders.” She added that at least 82 of the 226 courses of treatment carried out over the past 18 months in the Radiation Therapy Unit went to patients who were either uninsured or underinsured. This allowed patients to receive $2.4 million worth of radiation therapy, courtesy of the Equal Access Fund. The cost of radiation treatment depends on the type of cancer and the course of treatment required. Treatment can range from $5,000 to $10,000 for pain management and upwards of $100,000 for treatment of prostate cancer. “For patients who don’t have insurance to show up at the doctor and hear that you have cancer, no matter what stage of life you are in, not many people plan for the cost of cancer treatment,” Ms Titterton Narraway said. In the past two years, BCHC has subsidised over $2.5 million in diagnostic services and radiation therapy. “Relay for Life plays a huge role in raising funds — it’s raising funds to support our community,” Ms Titterton Narraway said. She added: “Relay for Life is all about the community, celebrating survivorship, remembering those whom we have lost and fighting back against cancer.” She said the large support yearly “speaks volume to what the community will do to support each other”. Over the years, the insurer Liberty Mutual, formerly Ironshore, has been the top sponsor, contributing more than $488,000 through corporate sponsorship, combined with the work of its staff. Annual Devil’s Isle Paddle Board Challenge. With the aim of helping highlight plastic pollution in the ocean. In a test of endurance, participants will paddleboard 40 miles around the island, launching from Snorkel Park. It is anticipated that the race could take between six and 13 hours. The event aims to raise funds for the educational component, the SUP’r Kids Paddling Programme, which is also making a return, giving schoolchildren the chance to learn the sport while gaining an understanding of the importance of ocean conservation. Christian Shaw and Gordon Middleton of Plastic Tides, which organizes the event, spoke about the hope of expanding paddleboarding to all public schoolchildren in Bermuda within the next five years. The Devil’s Isle Challenge will attract local and overseas paddleboarders who can form teams of up to eight to paddle around Bermuda, vying for the top spot. Every paddleboarder is asked to raise a minimum of $500 which will go towards the children’ programme. May 17-24. Kiwanis International Bermuda Cruise. May 24, 2019 Public Holiday. Bermuda Day Parade. 1:30 pm through the streets of Hamilton. Led by the Band and Corps of Drums of the Bermuda Regiment. Half Marathon, an annual extravaganza, half marathon, first swim of the year for locals, dance groups, bands, majorettes, decorated floats, Gombey troupes. An annual celebration of Bermuda's culture and heritage, includesBermuda Fitted Dinghy Races. Bermuda Regiment Beats Retreat. City of Hamilton, 9 pm, with Bermuda Islands Pipe Band. Saddle Club of Bermuda annual show. June 1. Hurricane Season starts. Lasts until November 30. Annual Habour Nights in Hamilton, until August 31. Every Wednesday evening. Social event, also features chefs, musicians, Gombeys and more. June 5-7. Transcontinental Trusts International Forum. Hamilton Princess Hotel. "Shaping the agenda for the offshore world, join the entire industry at his flagship trusts event. Saturday, June 8, 2019. Queen's Birthday Parade, Front Street, Hamilton. 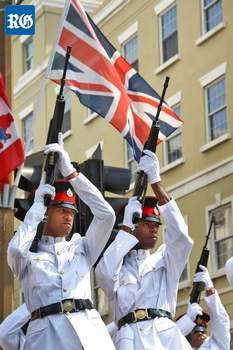 Always an event for visitors to watch Bermuda's British militia salute Her Majesty for her Official Birthday, Traffic will be limited on Front Street. The annual parade is the Bermuda equivalent of the world famous annual event in London, Trooping of the Colour, held four hours earlier, with Her Majesty and other members of the Royal Family present, followed by a Royal Air Force fly-past over Buckingham Place. In Bermuda, The Governor, Premier, and other VIP guests will in attend. Begins at 10-1030 am Bermuda time. The public is encouraged to come out and view the event which will feature the pomp and pageantry of the marching units from The Royal Bermuda Regiment, The Royal Bermuda Regiment Band and Corps of Drums, Bermuda Police Service and Bermuda Police Reserves, Bermuda Fire and Rescue Service, Royal Bermuda Regiment Junior Leaders and the Bermuda Sea Cadet Corps. Trooping the Colour from London. From 10:30 am GMT, Horse Guards Parade. Trooping the Colour, see https://en.wikipedia.org/wiki/Trooping_the_Colour celebrates the Sovereign's, Her Majesty the Queen's, official birthday (her actual birthday is on 21 April). (It has traditionally been held in June, for better weather). Televised worldwide over three hours by the BBC London. See the full majesty, military precision, pomp and splendor of the London ceremony at http://www.householddivision.org.uk/trooping-the-colour and at http://www.trooping-the-colour.co.uk/index.htm. Invited guests include all adult members of the Royal Family, some on horseback and/or in military uniforms, British Commonwealth heads of state or their representatives. The ceremony dates back to at least the early 18th century when the colours (flags) of the battalion were carried (or 'trooped') down the ranks so that they could be seen and recognized by the soldiers. The Queen attends in a horse-drawn carriage and the regiments of the Household Division, her personal troops, parade in front of her. Over 1100 soldiers are on parade, plus 200 horses and over 400 musicians. A 41 Gun Royal Salute is fired by the King's Troop, Royal Horse Artillery in Green Park at 1252 hours GMT. June 8-29. Bermuda 1-2 Yacht Race. 22nd Biennial Series (first race in 1977). In Memory of Geoffrey Spranger & Bjorn Johnson. A famous every-other-year yacht race to Bermuda. Newport Yacht Club, 110 Long Wharf, Newport, RI 01840. St. George's Dinghy & Sports Club, St. George's, Bermuda. Potential Skippers For 2019 - Bert Barrett, Murray Beach, Jonathan Bixby in his Tarton 3500, Robert Brown in a new to him Freedom 44 (another one! ), Marcus Cochran in his newly acquired Class 40 Marauder, Fred Cosandey (maybe) on his new 44' boat, Murray Danforth, Sam Fitzgerald in Class 40 First Light, Jon Burt, Brian Gray on his mini Trouble No Trouble, Jonathan Green is his Class 40 Privateer, Roy Greenwald, Philip Haydon, Michaeal Hennessy in his Class 40 Dragon, Vernon Hultzer in his mini now called Thunder (alias Team WIchard), Eric Johnson on Dirigo, Tony Leigh on his mini 806, Rick McCally, Patrick McFadden, Tristan Mouligne in a Class 40 (maybe), John Niewenhous (last raced in 2005 in a J/120) in his Class 40 Loose Fish, Alessandro Pagani on Luna, Alan Paris on a new Figaro 3, Josh Reisberg in his J/120 (slight upgrade from the mini), Marc Rotenberg on Odyssey a 409 Jeanneau, Walter Rush in Gryphon another Morris Justine 36, Henry Schultz on his Pearson 40, Jason Seibert in his newly acquired Schock 40 Gamble, Craig Smith on his Catalina 380 "Yeah Baby", David Southwell in his J/121 Alchemy, Dan Stadtlander, Noel Sterrett, Gust Stringos, Chris Terajewicz, Dan Walsh, Stanley White in his Xc38 Lark. Skippers that have done qualifiers: Walter Rush, Rick Rohrer, Marc Rotenberg, Alessandro Pagani, Craig Smith. Bermuda Powwow 2019. 2pm to 6pm on the St David’s Cricket Club grounds in St David’s. Admission is $10 for adults and $5 for children and seniors. June 10-12. 15th in 2019 Bermuda Captive Conference. Fairmont Southampton hotel. The captives support mostly Fortune 500 companies in the US and generate more than $55 billion in annual gross written premiums. Captive activity remains high, with the size of existing captives growing and cell captives being added. Additionally, organizations including the Bermuda Insurance Management Association, and the Association of Bermuda Insurers and Reinsurers, will be at the conference. The three day-conference, Bermuda’s largest industry event, this year has adopted the theme “Elevate”, encouraging risk managers to consider the many ways captives can contain costs and manage coverage, whether for a Fortune 500 corporation or mid-sized business. “Our 2019 theme is an energizing call to action,” said conference chairman Michael Parrish. “We hope to connect with both risk managers who may not have considered captive insurance before, and owners of existing captive insurers to demonstrate how they can innovatively tackle new and emerging risks facing any size of business in today’s corporate environment. We’re inviting delegates to ‘elevate their perspective, elevate their network, elevate their captive’.” The conference features educational sessions, keynote speakers, social activities, and networking events. Incorporating a trade floor showcasing support services and organisations, the conference attracts captive insurance managers, brokers and service-providers, corporate risk managers, and captive owners. Last year, more than 800 attendees registered from the US, Canada, Latin America, and the UK, as well as Bermuda, organisers said, driving total hotel room nights close to 1,000. Notably, organisers said, the conference attracted more captive owners and risk managers than ever before. “We’re looking to build on the phenomenal success that’s been established over the past 14 years and we expect to have a strong attendance again,” Mr Parrish said, adding the new conference website streamlines the registration process for sponsors and attendees. “Our agenda will examine innovative programmes that can be developed in a captive, and topics will include cutting-edge issues such as insurtech, cybersecurity, autonomous driving, global employee benefits, and the shared economy.” The early-bird registration deadline is March 31. Bermuda is home to more than 700 captives generating about $40 billion in annual gross written premiums in 2018, according to the Bermuda Monetary Authority. YouTube comedian Tripp Crosby will be one of the spotlight speakers. The filmmaker and comedian is well known as the host director of Tripp and Tyler, a YouTube sketch comedy duo he stars in with fellow funnyman Tyler Stanton. Their shorts have amassed millions of views online and made headlines on media such as the Today Show, Late Show, CNN Headline News, Huffington Post, and Mashable. Their best-known sketch, the workplace comedy A Conference Call in Real Life, has gained a viral internet following. Based in Alpharetta, Georgia, Mr Crosby is a performer whose career is also flourishing behind the camera as a director and founder of Green Tricycle Studios, a production company in Atlanta. In 2014 he was selected by Saatchi & Saatchi as a member of the Cannes International Film Festival New Director Showcase, and since then has continued to direct commercials and entertainment for major brands such as Fuze Iced Tea, Verizon, and Ford Mustang. He recently wrapped up his first narrative short that will debut on the festival circuit this year, and is currently writing his first feature-length screenplay. Executive chairman of the Bermuda Monetary Authority, Jeremy Cox will also address the three-day conference in June, as this year’s industry keynote. As the regulator’s executive chair since January this year and previously chief executive officer since 2010, he has overall responsibility for all supervisory activities conducted by the BMA, including the supervision of banks, trust companies, investment businesses, insurance companies, and the board of directors. “We’re thrilled to be able to announce this year’s two diverse keynote speakers, both of whom we know will attract and engage audiences,” conference chair Michael Parrish said. “We look forward to welcoming Tripp to Bermuda, and we are also very honored to have Jeremy address our delegates during this, the BMA’s 50th-anniversary year.” The conference is Bermuda’s largest and longest-running industry event, now in its 15th year at the Fairmont Southampton. Incorporating a full slate of moderated panel discussions, networking and social opportunities, plus a trade floor showcasing support services and organisations, the event annually attracts more than 800 captive insurance managers, brokers and service providers, corporate risk managers, and captive owners. This year’s theme, “elevate” encourages risk managers to consider the many ways captives can contain costs and manage coverage, whether for a Fortune 500 corporation or mid-sized business. According to conference organisers, last year’s event was hailed for its diversity and innovation by delegates, and attracted the most captive owners and risk managers in its history. The Bermuda Captive Conference is on from June 10 to 12 at the Fairmont Southampton Hotel. Mr Crosby will be the lunchtime keynote on June 11 at 12.30pm, and Mr Cox will speak on June 12 at 10.30am. Sunday is the early-bird registration deadline. June 14-22, 2019. Marion-Bermuda Yacht Race. Every other year. Marion - Bermuda Cruising Yacht Race Association, Inc (“MBCYRA”). Supported by The Beverly Yacht Club (“BYC”) of Marion, MA; The Blue Water Sailing Club (“BWSC”) of Boston, MA; and The Royal Hamilton Amateur Dinghy Club (RHADC), Paget, Bermuda. 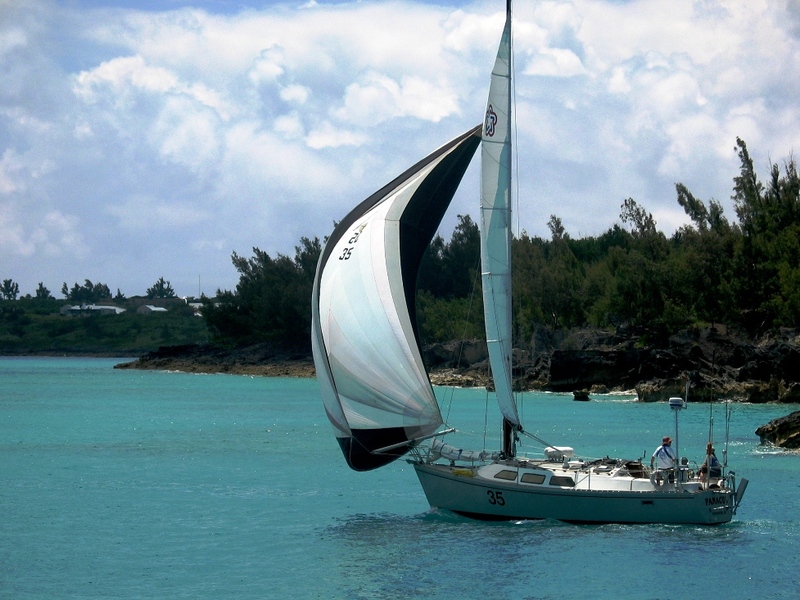 Since its inception in 1977, the Marion Bermuda Race (“MBR”) has been a Corinthian event. The spirit of the race is that all yachts and crew are participating for the joy and pleasure of sailing, competition, and the camaraderie that accompanies such an offshore event. The race provides an opportunity for cruising yachts and amateur crews to participate in an ocean race and a rendezvous in Bermuda. It encourages the development of blue water sailing skills on seaworthy yachts that can be handled safely offshore with limited crew. Yachts must apply for acceptance. The Marion Bermuda Race is categorized as an Ocean Race as defined in US Sailing’s United States Safety Equipment Requirements & World Sailing’s Offshore Special Regulations Governing Offshore Racing for Monohulls & Multihulls. It is a long-distance race, well offshore, where rescue may be delayed. Bermuda Heroes Weekend and Carnival. June 16. Father's Day (USA, UK, Bermuda). Monday, June 17. Bermuda Public Holiday, National Heroes Day. Honors local heroes and heroines, pioneering men and women who were committed to selfless acts of public service and whose lives were spent devoted to improving the circumstances of our people. They have included Gladys Carlyon de Courcy Morrell, Sir Edward Trenton Richards, Dame Lois Browne-Evans, Dr Edgar Fitzgerald Gordon, Dr Pauulu Kamarakafego, Sir Henry James Tucker, Mary Prince and Sir John Swan in 2016.Sailing enthusiasts will want to watch, ideally from Fort St. Catherine as the best vantage point, the annual Edward Cross Long Distance Comet Race and also the J Class Regatta featuring the original 1930s America's Cup vessels. Various other activities occur on this day, including Bermuda Heroes weekend below. Official induction and proclamation ceremony, 4pm, King’s Square, St George. Steel pan, Hamilton’s Queen Elizabeth Park. Beating Retreat. Royal Naval Dockyard and City of Hamilton. Bermuda Regiment Band. Always popular with visitors and locals alike, this highly entertaining event features military music, popular show tunes, contemporary composers and marching formations by the Bermuda Regiment Band and Corps of Drums and the Bermuda Islands Pipe Band and Dancers. June 20-24. Cigna Conference in Bermuda. Fairmont Southampton. For agents who qualified from March 1, 2018 through February 28, 2019 by earning 300% of IAP* for supplemental health, accident and whole life; Earn 100% of IAP* for Medicare Supplement; and No cap on qualifiers. Glow worms begin shining in the ocean at night. Annual Fish Chowder Festival, St. George's. Bermuda Billfish Release Cup. Fishing Tournament. Long Distance Comet Race (annual). Commences in St George's Harbour and concludes in the Great Sound. Bermuda 2019 Rubber Duck Derby. Largest fundraiser of the year for Agape House, our island's only inpatient hospice facility. Every year members of the community are invited to purchase ducks to enter into one of the three races that we hold on Derby Day. Many great prizes are to be won so come on down and cheer your duck on. Duck tickets are sold at Agape House, BELCO and at various grocery stores during the months of April and May as well as on Derby Day. Rubber ducks race between Ordnance Island and White Horse restaurant, Town of St. George. .
Bermuda Amateur Stroke Play Championship. Port Royal Golf Course, 5 Middle Road, Southampton. Men's Division (black tees) and Ladies’ Division (white tees) play a 72-Hole Stroke Play event (gross and net). Spectator admission free. Enquiries: Bermuda Golf Association, 31 Victoria Street, Hamilton HM 10, tel 441 295 9972. Round the Island Seagull Race. Sandys Boat Club, 8 Mangrove Bay Road, Somerset, Sandys. This all day event starts and finishes from the Sandys Boat Club and features small boats propelled by old ‘British Seagull’ engines that race each other around the island, circumnavigating in a counter-clockwise direction, to raise money for ‘green’ causes. There are many vantage points around the island from where you can watch them as they race by—your hotel guest services can assist with some suggestions, so come out and watch this annual race! You can also join the BBQ that takes place at Sandys Boat Club once the race has finished. Admission: Free for spectators. Participants of race: $65.00. BBQ dinner: $20.00. Rain date: June 22, 2013 at 8:30am. Enquiries: Martine Purssell, Round the Island Seagull Race, tel 441 298 1220. Bermuda Fitted Dinghy Races. Island-wide. The Bermuda Fitted Dinghy is probably the only sailing class in the world that allows the skipper to finish a race with fewer crewmen than when he started! These races have provided Bermudians and visitors with many hours of entertainment since 1853. The race season is from May 24 to mid-September. Bermuda Anglers Club 4-Day International Light Tackle Tournament. Barr's Bay Park, Pitts Bay Road, Pembroke (City of Hamilton). This is an invitational light tackle (12 lbs and 16 lbs) 4-day fishing tournament with three people on each team. Each day, fishing takes place on a boat rotation. Visitors can view the days’ catch at the weigh-ins at Barr's Bay Park from 4:30pm – 6:30pm on the fishing days which are Monday, Tuesday, Thursday and Friday. Enquiries: Bermuda Anglers Club, tel 441 293 0875. July 1. Canada Day. Canada and Bermuda. See http://en.wikipedia.org/wiki/Canada_Day. 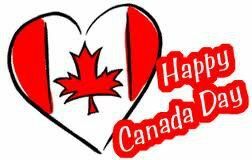 A national holiday, Canada Day in 2017 150 years after that celebratory event, celebrates the anniversary of the July 1, 1867 enactment of the Constitution Act, which united the original three separate colonies of Canada. It was also the day the word Canada originated. Originally called Dominion Day, the holiday was renamed in 1982, the year the Canada Act was passed. Celebrations take place throughout Canada, and are also held throughout the world by Canadians living abroad.. Bermuda has many (about 5% of the total number of annual visitors) and a large number of residents from Canada, members of the Association of Canadians in Bermuda.. See our Bermuda's Links with Canada and information about Canada's former military base in Bermuda. Also, beach party. July 4. 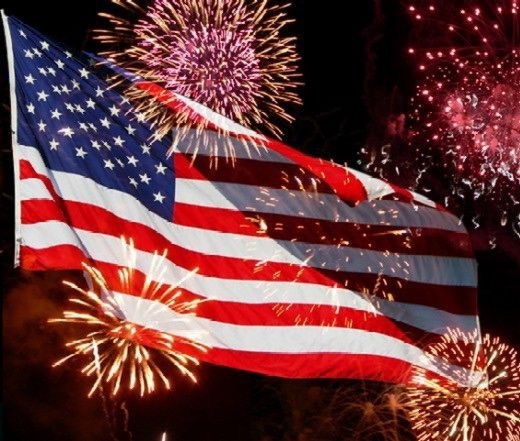 USA Independence Day National Holiday. Also celebrated in Bermuda among its 2400 or so Bermuda-resident American citizens. (About 80% of the total number of annual visitors are American). See Bermuda and the USA. US Consulate has a fireworks party. Until 1995 the USA had several significant military bases in Bermuda. Thousands of US military personnel were stationed here. July. 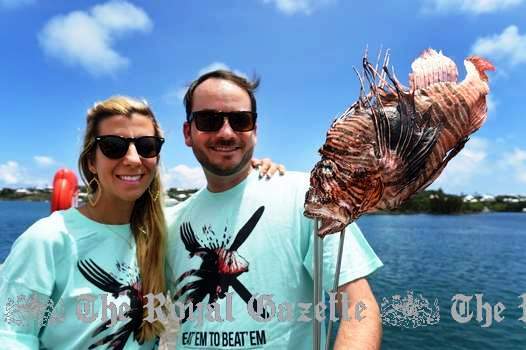 Ninth (in 2019) annual Groundswell Lionfish Tournament. Raising awareness of the threat lionfish pose to our endemic species. 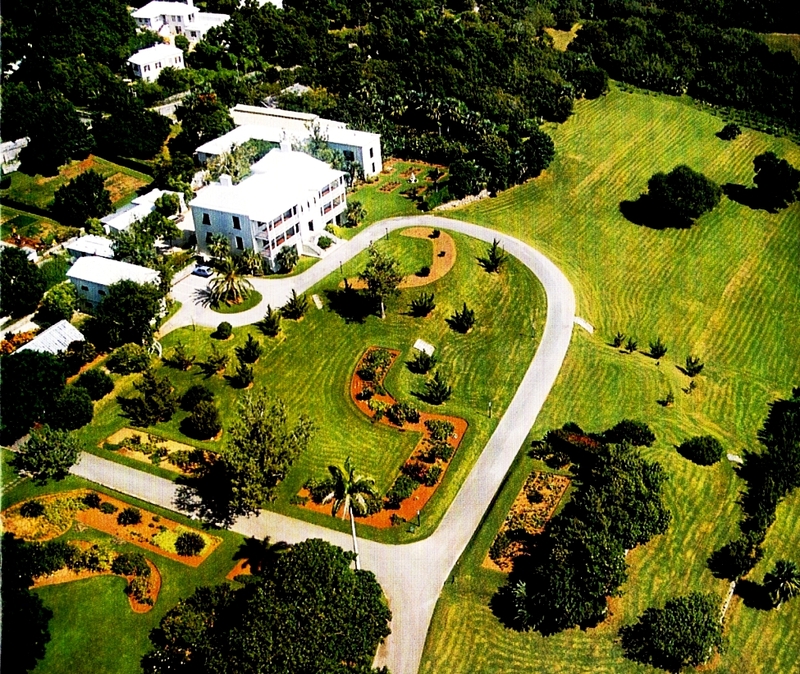 Bermuda Institute of Ocean Sciences. Educates the public about the invasive Indo-Pacific fish as well as helping to reduce, via catches, their numbers in our waters. Organizer is advocacy group Groundswell, which hosts the tournament and helps to generate funds for scientific research and management methods. The idea is to show people that lionfish are a problem and to show them how to catch them, handle them, prepare them and cook them. Lion fish hunting and eating. Bermuda Fitted Dinghy Races. These races have provided Bermudians and visitors with many hours of entertainment since 1853. The race season is from May 24 to mid-September. Contact Royal Hamilton Amateur Dinghy Club. Phone 236-4411. Bermuda Triple Crown Billfish Championship. Annual. King's Square, St. George's and Front Street, Hamilton. 9 pm. Beat Retreat. Always popular with visitors and locals alike, this highly entertaining event features military music, popular show tunes, contemporary composers and marching formations performed by the Bermuda Regiment Band and Corps of Drums and the Bermuda Island Pipe Band and Dancers. July 14. 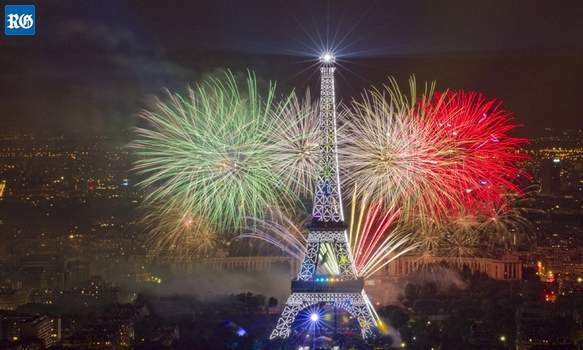 Bastille Day. France and Bermuda. See http://en.wikipedia.org/wiki/Bastille_Day. There is quite a sizable French population in Bermuda. See Bermuda's Ties with France. There is also an honorary French Consul and an active local French organization that meets regularly and arranges appropriate functions, the L’Alliance Français des Bermudes. It arranges an al fresco dinner, live French music, raffles and door prizes. Those attending are encouraged to wear white. The event starts at 6.30pm with a cash bar and dinner is at 8pm. August 1 to November 30. Hurricane season. August 1, 2019. 144th anniversary of Emancipation Day (First day of Cup Match Public Holiday). Two days of festive Cup Match cricket. In 2017 played in Somerset. Bermuda is believed to be the only place in the world where there is a 2-day public holiday for a cricket match. See Public Holidays. 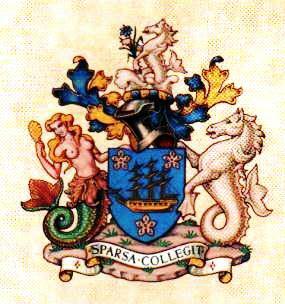 Somerset in dark blue and red, St. George's in light blue and dark blue. An annual favorite Bermuda event between these two teams, steeped in tradition and history (since 1902). Bermuda's leading attraction by far among locals, with plenty of food, music, an occasion for fashionable clothing, revelry and fun. Cricketers are officially the main attraction, with cash prizes for spectacular plays amid thunderous cheers from the crowd and much bravado from the players. The uniquely Bermudian gambling game of Crown and Anchor is much in evidence in the carnival-like atmosphere. Expect heavy road traffic to and from the event. August 2. Somers Day. Second Day of Cup Match Holiday. See Public Holidays. Bermuda Beach Tennis Tournament. Horseshoe Bay. Concert in the Park - Victoria Park in City of Hamilton. Around the Island Boat Race. From and to Ferry Reach. Public Holidays. Labor Day (USA and Bermuda). Notable days. Patriot Day (USA). Grandparents Day (USA). Rosh Hashanah). Citizenship Day (USA). Yom Kippur (USA). Swimming ends for many Bermudians until May 24. Soccer season begins, cricket ends. Exact dates will be supplied when known. Bermuda International Long Term Insurers and Reinsurers (BILTIR) hosts its fifth (2019) annual life and annuity conference at the Fairmont Southampton Princess Hotel. Industry chiefs from Europe and North America will join Bermuda-based executives for the meeting. This year’s conference will focus on the EU Solvency II regulations, which will come in to force next year and Bermuda’s ongoing work to comply with the new rules. Other highlights include a presentation by the president of the Society of Actuaries, which has more than 25,000 members in 78 countries. Special sessions will also look at “the future of living longer” and panel discussions featuring industry leaders. BILTIR was set up four years ago to serve as an advocate for the long-term insurance industry. September. 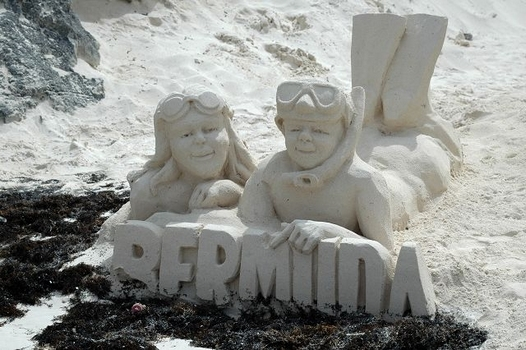 Bermuda’s 24th (in 2019) Sandcastle Competition. Annual sand sculpture competition, Horseshoe Bay Beach with a menagerie of creations. Judging and an awards presentation follows for the creators of the winning sculptures. Participants of all ages take to the sands. The eye-catching event, sponsored by the Hamilton Princess Hotel, is always a hit with locals and visitors alike - especially when the weather obliges with a sunny day. The friendly competition, held at Horseshoe Bay, attracts a lot of repeat entrants. Cash prizes worth $3,000 were handed out in 2018 for first, second and third place in each category. Previous entries have included a mermaid and merman, a dragon wrapped around a lighthouse, a pair of feral chickens relaxing in the sun, a shark in a rubber ring with a gay pride flag with the slogan ‘wading for rights’.” An entry from Chewstick Foundation used coffee grinds to create black and white hands exchanging a fist bump with the word ‘Respect’ underneath. There were lots of other unusual entries, with themes or less serious. Event sponsors have included the Hamilton Princess Beach Club, jewelers Alexandra Mosher Studio, insurance firm OIL Group, and drinks company Barritt’s. Bermuda Captive Conference 2019, expected to surpass last year’s record-setter with 1,000 hotel-room nights booked to date by overseas delegates. 14th year of Bermuda’s largest international business event, Bermuda is the top global captive jurisdiction, home to close to 800 captive insurance companies supporting primarily Fortune 500 corporations in the US and generating over $55 billion in annual gross written premiums. “As well as providing existing captive clients with the tools they need, this conference is a great platform for captive owners and prospective captive audiences to learn about the possibilities and trends. Bermuda International Life and Annuity Conference. Annual conference exploring trends in the life and annuity industry, hosted by the Bermuda International Long Term Insurers and Reinsurers (Biltir) at the Southampton Princess Hotel. Preparing for the next-generation workplace. Lip service: a frank discussion about race in the workplace. Today’s leadership is evolving: are you a mindful leader? Royal Gazette Wahoo Island fishing tournament. Back for the 53nd time in 2019. About 36 boats and 150 anglers are set to compete in the last big tournament of the season. It’s probably the most popular fishing tournament on the island. It attracts a lot of participants because it is held at the same time every year, focuses on one species and is a Light Tackle Tournament, one of the oldest continuous running tournaments. It’s completely open to residents and youngsters, who have to be under 16. The wahoo is a challenging” and great light tackle fish that helped put Bermuda on the map for salt water fishing. It’s powerful — it’s one of the fastest fish in the sea. The inaugural tournament was organized by Mid-Ocean News sports reporter Alan Harman, keen sportsman and former International Game Fish Association representative for Bermuda, Tom Smith, and captain Russell Young. When the Mid-Ocean News closed shop, The Royal Gazette took over sponsorship. The tournament allows anglers to use 12, 16, 20 and 30 pound test lines, with more points awarded per pound on a lighter test line. While the biggest prize goes to the biggest fish, there are also prizes for the different test classes and the boat with the high point score. And the junior angler with the high point fish also receives a prize. With fishing set to start at 7am, the fish have to be brought to the weigh station in Dockyard by 5.30pm. Bermuda Jazz Festival at former Royal Naval Dockyard. Glow worms stop shining in the ocean. Last Fitted Dinghy Races until May. Lobster season starts. Annual Wahoo Tournament. Bermuda Fitted Dingy Races. Granaway Deep, Warwick, 12:00noon, 1:30pm, 3:00pm. Olde Towne Market, St. George's. Every Sunday (until late September), 2-6 pm. Bermuda Regiment Beats Retreat at Dockyard. Bacardi Cup: Bermuda National Match Racing Championship, Royal Bermuda Yacht Club, Hamilton Harbour, Bermuda. Sailed in International One Design sloops. Annual CD&P Grand Prix cycle race, Front Street. Exhilarating competition between some of the world’s best cyclists riding in Bermuda. September. International Boarding School Fair. 4:30 t0 7:30 pm. Fairmont Hamilton Princess Hotel. Beat Retreat. Clocktower Parade, Dockyard and Front Street, Hamilton. 9 pm. Always popular with visitors and locals alike, this highly entertaining event features military music, popular show tunes, contemporary composers and marching formations performed by the Bermuda Regiment Band and Corps of Drums and the Bermuda Island Pipe Band and Dancers. Hurricane season. From June to November 30. 2019. The Bermuda Tourism Authority successfully bid to host the Annual Conference of the sport’s governing body World Sailing. The World Sailing Annual Conference is the central meeting point where the strategy of sailing is reviewed, discussed and celebrated. A series of events will take place during the seven-day schedule, including the World Sailing Awards and the eSailing World Championships. October 1-31. Breast Cancer Awareness Month. 19th annual charity drive at Bermuda Cancer and Health Centre (BCHC). After lung cancer, breast cancer accounts for the majority of deaths in women worldwide. It affects one in eight women, according to the Bermuda National Tumor Registry. Breast cancer continues to be the principal cause of cancer for women in Bermuda. Some women are more at risk than others. Understanding these risks, such as family history, are important, in addition to the knowledge that early detection can save lives. BCHC is an American College of Radiology designated Breast Imaging Centre of Excellence that provides more than 9,000 mammograms per year. The registered charity is urging the community to take part in a series of events this month to raise funds and provide women and their families with information about breast health and breast cancer. ILS Bermuda Convergence 2019. 7th to date. Bermuda International Gombey Festival. Bermuda Botanical Gardens. The event is held to celebrate Bermuda’s premier folk dancers, the Gombeys, whose dances celebrate a centuries-old Bermudian folk tradition that blends elements of African and Caribbean performance with North American native music and British military drumming. A tradition of dance passed down through the ages since Bermuda was first populated in part by those of African origin. Each year the festival honors an individual who has cultivated and strengthened the traditions of Gombey music and dance. The event was once known as the Gombey Competition, but has evolved into a celebration of a folk tradition that stretches back for centuries. Each troupe has its own distinct history, and the names of drummers and performers who had been influenced by Mr Warner were listed off to drumming, whistles and ecstatic cheers. 2018 is the first time Visitors get a special invitation to participate. It’s the first time the Bermuda Tourism Authority and the Department of Community and Cultural Affairs have partnered to build a special visitor offering of this kind. The Gombey Festival package includes: reserved seating, refreshments, private photo opportunities with Gombeys and an exclusive cocktail hour in the Sensory Gardens. With the purchase of a ticket, visitors had access to reserved seating, a private tour of the State House and a garden party where they could meet local dignitaries. “A sizable segment of our target visitors wants to immerse in Bermuda’s cultural experiences so wherever possible we try to build opportunities around what’s available and make it easy to access for travelers online,” said Bermuda Tourism Authority Chief Product & Experiences Development Officer Pat Phillip-Fairn. Tickets are available on Ptix.com. The Bermuda Tourism Authority released a new promotional video on Gombeys via social media. In 2018 performance artists from Grenada and the US Virgin Islands joined in the Bermuda International Gombey Festival. The bright-coloured Shortknee, from Grenada, wear a wire screen mask over a whitened face and perform rhythmic stomping with bells around their ankles. Moko Jumbies, from the US Virgin Islands, walk on stilts up to 15ft high. Both are viewed as symbols of history, culture, and heritage in their home countries. They will join Bermuda’s Gombeys in performing at the Bermuda International Gombey Festival Showcase at the Botanical Gardens on Saturday, from 5pm to 9pm. The Gombey Festival is held every year to provide continued exposure to folk art traditions. 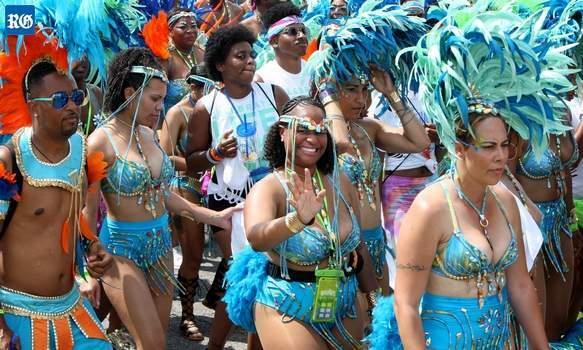 The troupes are a blend of Bermuda’s African, Caribbean, native American and British cultures. The 2018 festival also included Made in Bermuda Nights: Gombey Festival Edition, at Fort Hamilton: Dance of the Diaspora: Gombey Festival Film Showcase at Specialty Cinema; Gombeys and Traditions of the Diaspora: A Symposium, at CedarBridge Academy Cafeteria. World Alternative Investment Summit. Fairmont Southampton. Bermuda Kennel Club Open Dog Shows. Bermuda Botanical Gardens. Also Obedience Trials, Rally Trails. Daylight Saving ends. Following US not UK methodology. The fall edition of the 2019 City Food Festival. The four days of this annual culinary event will encompass head-to-head competitions featuring local chefs as well as bartenders. Specified dates will feature Rounds One and Two, the preliminary rounds, of the Chef’s Table Competition; the first set of chefs battle it out over Appetizers: the second tier of chefs takes on an entrée dish. All chefs must incorporate the five ingredients provided but are not limited to them. Each round will be a demonstration event in front of a live audience with a panel of judges sampling the final dishes and sending the winner through to the Round Three final event. The Festival has partnered with Goslings who will provide a welcome cocktail as well as complimentary red and white wines for Rounds One and Two. Tickets for Rounds One and Two are $60.00. The bartenders of Bermuda will compete for top bragging rights in the Bacardi Cocktail Competition. Up to eight bartenders will compete against each other, again, in front of a live crowd and will be judged by a panel of industry professionals based on the creativity, taste, use of sponsor brands, visual appeal, use of ingredients, amongst other criteria. The successful bartender that takes home top honours will receive the Grand Prize trip to the Bacardi Factory in Puerto Rico courtesy of Bacardi as well as a cash prize from the City of Hamilton. The Bacardi Cocktail Competition is an ‘invitation only’ event. Round Three, the final of the Chef’s Table Competition, will take place. The two winning chefs from the preliminary rounds will face off with a dessert challenge in front of a live audience of ticket holders who will be treated to a sumptuous Rum Dinner, presented by Fourways Catering and Bacardi Rum. Together they have created a fun evening featuring an exclusive menu paired with Bacardi rums. Some rums are mixed into cocktails, some are cooked into the dishes and others are served neat. The night will start with a welcome cocktail followed by a delicious 4-course meal. Guests will learn about rum and how it is made while sipping cocktails and enjoying dishes presented by Fourways. Once the entrées have been served the Chef Competition. Final, featuring desserts, will commence. Both finalists will be tasked to create samples of their hopeful winning dishes for the patrons which will be the final course for the guests. Ticket price for the Chef’s Table Final Round inclusive of dinner and drinks will be announced. The winner of the Chef’s Table Competition will enjoy a trip to the South Beach Wine & Food Festival. All Chef’s Table Competition rounds will take place in the lower level of Pier 6. Tickets are available for the Chef’s Table Competition on ptix.bm For additional information, visit the City’s website at www.cityofhamilton.bm. Bermuda International Championship Dog shows. Main Ring, Botanical Gardens. The four shows will be in the morning and afternoon of each day, with a Junior Handling Competition in between. No admission fee for residents and visitors. Food can be purchased on site. Halloween ‘Spooky Night in Ghost Town’ event in St. George's. October 31/November 1. Haunted History. Figures from centuries ago resurrected in St George’s for a night of Halloween entertainment, offbeat education and fundraising for the Old Town. The event is hosted by the St George’s Foundation. The World Heritage Centre at Penno’s Wharf will be used for the party, complete with food, drink and live music, as well as historical re-enactments. The funds raised will go toward the management of the Centre, plus the replica of the ship Deliverance. The museum is to acquire new exhibits, while the wooden ship on Ordnance Island is to be developed as a performance platform for youth groups. From now to November 30. Hurricane season. World Rugby Classic Schedule (annual). National Sports Centre, Devonshire. With former internationals representing their countries in Bermuda-based international competition. All the major Rugby team over 30s will be here including the All Blacks from New Zealand, Australia, Republic of South Africa, UK, Ireland, France, Argentina, etc 10 international matches played during the week but scheduled to allow plenty of time to enjoy Bermuda's beaches, golf courses and other many attractions. This year’s World Rugby Classic looks set to be a star-studded affair with some of the sport’s most decorated names lined up for the tournament. 14th (in 2019) annual PwC Bermuda/S&P Global Bermuda Reinsurance conference. Hamilton Princess. Disruption and the huge opportunities it’s creating for re/insurers is expected to dominate discussions. The insurance industry forum takes place this year amid a fast-changing market dynamic. National Audubon Society of USA annual bird count (the Bermuda Audubon Society has participated for 29 years). Bermuda Public Holiday (Remembrance Day). Bermuda Convergence 2019. Hamilton's Pier 6. Major reinsurance conference. The conference attracts professionals from the booming insurance-linked securities (ILS) industry, including investors, fund managers, major insurance and reinsurance companies and professional services firms. Bermuda has carved out a niche as the top jurisdiction in the ILS sector, with 70 per cent of the world’s total investment. Thanksgiving Day USA (celebrated in Bermuda at restaurants serving visitors and with Annual American Thanksgiving Day Interfaith Service with US patriotic songs, hymns and readings by the Governor. Organizers include the American Society of Bermuda). Santa Claus Parade. (late November). Thousands of people line the streets of Hamilton, all hoping to catch a glimpse of Santa Claus. Crowds of adults and children fill the sidewalks as the annual Santa Claus Parade made it’s way through the city. Dozens of floats and hundreds of people, including majorettes, dancers and Gombeys, take part in the festivities. Late night shopping in St. George's. Saturdays from late November until Christmas Eve. The annual Dr Stanley Ratteray Memorial Christmas Short Story Contest. From Bermuda's national daily newspaper The Royal Gazette. With a Christmas and Bermuda traditions theme. This popular annual contest has run for over 55 years. The Dr Stanley Ratteray was a Bermudian cultural icon, a dentist by profession and Bermuda's first Education Minister. Renowned for his passion for the arts and culture in Bermuda, he was one of the founders of the Bermuda Arts Council, the Bermuda National Trust and the Menuhin Foundation and served as chairman of the Bermuda Musical and Dramatic Society for several years. The competition has encouraged literally thousands of Bermuda residents to exercise their creativity, imagination and writing skills around the infinitely flexible subject of a Bermuda Christmas. It is open to all Bermudians or current residents of Bermuda and stories may be fiction or non-fiction. The annual deadline is by the first week in December. Entries must be typed and should not exceed 1,500 words. Cash prizes are presented in three categories, under -13s, under-18s and adults. There is a first prize for winners, plus those with exceptional promise regardless of category and certificates for honorable mentions. Winning entries are published in the Royal Gazette's printed Christmas Eve Greetings Supplement. Each year the judges look for vivid local Christmas themes and local references, content, correct spelling, correct grammar and punctuation. Judges prefer entries from students to be free of violence as Christmas is a time of peace. Manuscripts must be submitted to The Royal Gazette clearly marked, “Christmas Short Story Contest”. Manuscripts may be submitted by hand in the drop-off box in the lobby of The Royal Gazette, by mail to "Christmas Short Story Contest", The Royal Gazette, PO Box HM1025, Hamilton HM DX, or by e-mail to the specific email address given. If e-mailed, attach your contact details to the actual story; don’t just put them in the body of the e-mail. The full name, address and telephone number of the author must always be given, irrespective of how sent. Teachers should make sure the name, age of the student and contact number of their parents is included on every entry. Judges may contact the winners during late evening when schools are closed. The e-mail address of parents would also be helpful. These details will be kept confidential. Pen names will not be accepted. Please, no poetry. Pen names will not be accepted. Stories received after the deadline are not considered. A panel of judges decide the winning entries. Due to the high volume of submissions, The Royal Gazette staff cannot respond to telephone or e-mail inquiries once an entry is submitted. The Royal Gazette reserves the right to publish any or all of the stories submitted. December 4-6, 2019. International Cyber Risk Management Conference. Hamilton Princess & Beach Club. Cyber insurance buyers and risk experts. The International Cyber Risk Management Conference will welcome 175 delegates, including 70 overseas visitors, representing pension funds, banks and tech firms. John Huff, president of the Association of Bermuda Insurers and Reinsurers, said that cyber-risk was becoming “one of the most complex and challenging situations for individuals and businesses worldwide. Enterprises of all sizes are assessing their appetite for retaining cyber-risk. It’s not just the large organisations.” Mr Huff said that insurers and reinsurers were examining where they wanted to take on cyber-risk “including taking stock of any ‘silent’ cyber exposures and stress testing those scenarios. Insurers are really stepping up to add value when policyholders are facing network security and data privacy events. Building and immediately deploying a network of reliable partners to respond quickly and efficiently to events can be crucial to containing losses and preserving reputations. New privacy protection laws are adding additional complexities and require sophisticated coverages. Bermuda’s global insurance market is leading the way.” John Baker, chairman of the event, said he was proud to be hosting the event in Bermuda. “Delegates are flying in from around the globe to attend, along with some accompanying guests. As a conference, we pride ourselves on hosting intimate conversations with senior decision makers and leaders that have real cyber-risk management experience to share in a vendor-neutral environment.” An event spokeswoman said that the conference agenda “has been developed around the dynamic cyber threat landscape and ways in which insurance companies and corporations can approach the challenge to protect their customers, operations, and reputations before and through a data breach”. Topics will include cyber-risk trends, regulatory concerns and cyber implications of emerging technologies, including blockchain. Among the speakers will be Noel Pearman, cyber product lead at XL Catlin; Derek Vadala, global head of cyber-risk at Moody’s Investors Service; Nick Galletto, global cyber-risk services leader at Deloitte; and Tracie Grella, global head of cyber-risk insurance at AIG. Following the success of the 2018 inaugural International Cyber Risk Management Conference, Bermuda, organisers are making plans for the event to return next year. The conference attracted 206 delegates, which included cyber-risk professionals and industry executives from across Canada, the US, UK, and Bermuda. Almost half of the delegates consisted of C-suite level executives. Bill Stewart, division president, Global Cyber Risk Practice, Chubb, said the conference offered “the perfect blend of cyber technical content as well as international insurance market perspective in an environment that was highly conducive to networking. I highly recommend this conference for anyone that is serious about understanding this rapidly evolving market place”. 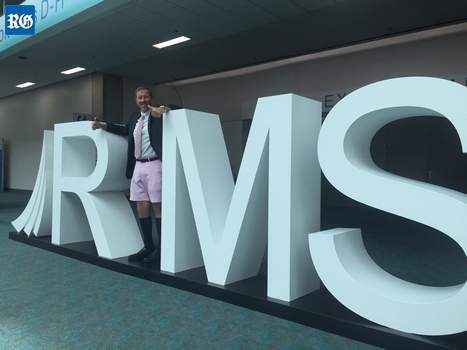 Joel Baker, president and chief executive officer of MSA Research, the producer of ICRMC, said: “We are thrilled with the feedback we’ve heard from delegates on our first event in Bermuda. We are grateful to the BDA (Bermuda Business Development Agency) for their support, and to the many industry leaders for adding their expertise, and perspectives. “The discussions were provocative given recent breach events including the Marriott and Starwood breach. How much data should be asked of consumers, and the responsibilities that come with its collection warrant strategic consideration in terms of customer experience and cybersecurity.” The event was held at the Hamilton Princess & Beach Club. Delegates shared experiences and best practices that will help them manage the risk and impact caused by a cyber breach and discussed risk trends and challenges faced within the insurance industry as it pertains to cyber-risk. Cyber insurance featured prominently in the conversation, ranging from pricing to product trends and evolving buyer needs. The discussion also included how blockchain and artificial intelligence can be used in cyber-risk management, as well as a perspective on Bermuda’s expertise and offer as a regulatory jurisdiction and centre of excellence for insurance. More than 19 companies participated as sponsors or supporters of the event including the BDA as the signature sponsor, as well as Deloitte and Slice Labs as platinum sponsors. Other sponsors included major insurance companies, security firms, technology companies and law firms, along with several Bermudian insurance-focused associations. Darius Delon, president of Risk Management 101 and past chairman of RIMS Canada Council, said: “The speaker list was extremely talented — with some of the speakers having spent a portion of their careers doing cyber-risk management for the Secret Service, FBI and the Department of Justice. The in-depth stories during the socials added another level to the event and I learnt as much there as during the sessions. I have already pencilled in December for the next ICRMC.” ICRMC will return to Bermuda next year from December 4 to 6. Bermuda National Trust Christmas Walkabout, 6-9 pm, St. George's. Explore the Old Town, traditionally decorated for Christmas. Wander the narrow streets, visit candlelit historic buildings and mingle with family and friends while enjoying live, festive entertainment and more. Old Rectory, Buckingham, Samaritans' Cottages, Reeve Court Apartment, Reeve Court Archaeology Lab, Bridge House, Bridge House Gallery (BNT membership area), Tucker House and the Globe Hotel will all be open and welcome you in. Parking is at Tiger Bay/Penno's Wharf, St. George's Preparatory School and East End Primary. The Bermuda Police Service will enforce parking only in designated areas. If you would prefer to go by ferry there is an option. St. George's Santa Parade. 6 pm. 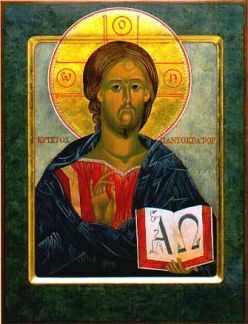 Corporation of St. George. Late Night Shopping. Many stores stay open until 9 pm. British style Bermuda Musical and Dramatic Society Christmas pantomime, very much a part of the Christmas tradition. It is always a sell-out. 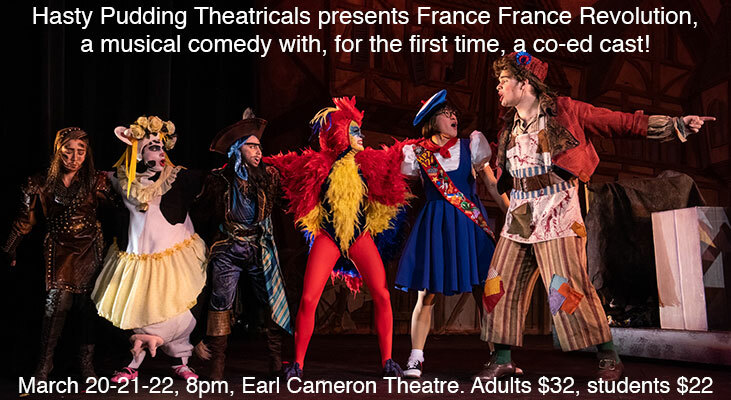 Based on the UK pantomime tradition, it has a plot, jokes, political asides, costumes galore and fun. December 25. Christmas Day. Public Holiday. December 26. Boxing Day. Bermuda’s Gombey troupes take to the streets for their traditional Boxing Day celebrations. Today, the art form is instantly recognizable for its dance, rhythmic drumming, theatre and symbolically colorful dress — but those who took part were keen to educate about the true meaning of their culture, which harks back to the era of slavery. City of Hamilton. As the clock strikes midnight, the traditional Bermuda Big Onion drops at City Hall. It's a local tradition, just as New York has its Crystal Ball. Bermudians refer to themselves as Onions, from the days from the 1840s when real big luscious Bermuda Onions were exported all over the world until the 1920s. Town of St. George. King's Square, St. George's. New Year's Eve Party. Until 1 am New Year's Day. The Old Town, Bermuda's capital until 1815 will take on an “artistic vibe,” with Water Street becoming an “evolving gallery as photographers project images of their work onto some of Bermuda’s oldest buildings. As the clock approaches midnight, fire-eaters and bagpiper David Frith will keep the energy high. After the onion drop, revelers will be treated to a 15-minute laser show. Public Holidays. New Year's Day in Bermuda. January 1-February 1. Annual Lionfish hunt. 5th annual Winter Lionfish Derby. Bacardi National Par 3 Golf Tournament. Turtle Hill Golf Club. No entry fee for the tournament, but players are required to qualify in one of the following four categories – Professional; Men; Senior Men (55 years +) and Ladies. The top 10 gross scores plus ties in each category will be eligible to participate. The Fairmont Hamilton Princess and the Mid Atlantic Athletic Club (MAAC) annual Fairmont to Fairmont Race. It takes runners on a 7.2-mile course between The Fairmont Hamilton Princess and The Fairmont Southampton and is considered the beginning of the running year, attracting competitors from across the globe. It is used by many runners as the final warm-up for International Race Weekend, which starts on Friday, January 16. The Fairmont to Fairmont Race also includes a competitive walking category, a three-member team relay, and a Junior 3K race. The course takes the competitors from The Fairmont Hamilton Princess Hotel, along Front Street, East Broadway, The Lane, Harbour Road, Burnt House Hill, Middle Road and up The Fairmont Southampton Driveway before finishing at The Fairmont Southampton's Private Beach Club. Harry Mulenga and Ashley Estwanik won last year's male and female categories. The main draw prize for this race will be a four-night stay at The Fairmont Mayakoba, Mexico, with round-trip JetBlue tickets. There are also prizes for the top male and female finishers of the Junior 3K. The Fairmont to Fairmont Relay Race will award prizes for the top finishers in the male, female, and mixed categories. The adult Fairmont to Fairmont race has prizes for the top male and female finishers in the 16-29, 30-39, 40-49, 50-59, 60 and over, and 70 and over categories. Also winning prizes will be the first male and female walkers as well as the first tourists, and the winning Fairmont employees. Bermuda International Race and Marathon Weekend. Front Street, City of Hamilton and the National Sports Centre, Frog Lane, Devonshire. Bermuda National Athletics Association. P O Box HM 2156, Hamilton HM JX. Includes Bermuda International Marathon and Bermuda International Half Marathon; Invitational Mile races and Bermuda Triangle Challenge Mile, Front Street, Beat Retreat ceremony performed by the Bermuda Regiment Band accompanied by the Bermuda Islands Drum Corps. Bermuda’s Restaurant Weeks 2020. Exploring Bermuda's food culture. Featuring discount deals at restaurants in the hope of reeling in some business during the slow months of the year. Especially good for budget-minded tourists from the USA not used to regular far higher than in USA restaurant prices. Three-course menus are tiered in three price categories.. The People’s Choice Award allows diners to vote for the restaurant they feel best incorporates local food culture in their menus. Bermuda Regional Bridge Tournament. Bermuda Bridge Club, held at the Fairmont Southampton Princess Hotel, 101 South Road, Southampton. Seven days of bridge, panel shows and other entertainment. The Bermuda Regional is in a class of its own and introduced in 2013, repeated again in 2016, is Bermuda Gold, a 0-750 games offering gold points. If making offline reservations, ask for the Regional Bridge Rate. World Captive Forum (WCF) 2019. The WCF features delegates from all over the world, including Europe, North America and Latin America. Bermuda’s business chiefs are out in force for this even, last held in Florida in 2016. It includes several speakers from Bermuda including lawyers, regulators and business leaders. They use the event to try and bring new business to Bermuda. The forum’s 2016 location in Florida, plus its 26+ year history, attracted a large number of delegates from the potentially lucrative Latin American region. There has been exponential growth in business from Latin America since 2000 when Bermuda started negotiations to sign a tax information exchange agreement (TIEA) with Mexico — the first agreement between an offshore jurisdiction and a Latin American nation. The TIEA with Mexico had been followed by others with Colombia and Argentina. They do not consider Bermuda a preferential tax regime — a tax haven. Bermuda had made other inroads into the Latin America market. Once the TIEA signed with Brazil comes into effect Bermuda will enjoy the same advantages as Colombia, Mexico and Argentina. Latin America is seen as a region which presents growth opportunities for the Bermuda captive market. Overall, the WCF has served as a good base for Bermuda to showcase its expertise as the largest captive domicile in the world. Mid January to early February 2019. Bermuda’s Restaurant Weeks 2019. Exploring Bermuda's food culture. Featuring discount deals at restaurants in the hope of reeling in some business during the slow months of the year. Especially good for budget-minded tourists from the USA not used to regular far higher than in USA restaurant prices. In 2018 a record 53 restaurants took on the challenge to provide Bermuda-inspired dishes (see Bermuda Cuisine) in their Restaurants Weeks’ menus.. Three-course menus are tiered in three price categories. The People’s Choice Award allows diners to vote for the restaurant they feel best incorporates local food culture in their menus. February 1-28. Heart Disease Awareness Month. The City of Hamilton has partnered with the Bermuda Heart Foundation to promote heart health. The city will be hosting the ‘My City Heart’ Instagram contest. Through the contest, people can take a picture with a large heart cut-out that will be placed on the lawn of City Hall. They can then post the picture on Instagram, with the person who earns the most likes winning a prize. Sionna Barton, Marketing and Development Manager at the Bermuda Heart Foundation, said: “This February is Heart Disease Awareness month, and we are encouraging everyone on island to be proactive about their heart health. “A sedentary lifestyle may increase the risk of heart attack almost as much as smoking. We need Bermudians to adapt easy-to-embrace ways to significantly lower their risk of heart disease and improve their heart health. “Get active. You don’t have to join a gym or run in a 5K. Start small by incorporating physical activity into your daily routine more and more: Take the stairs instead of the elevator, park at the farthest end of the parking lot or use your lunch break to take a quick walk.” Meanwhile, mayor Charles Gosling said the corporation was excited to help raise awareness of heart disease, the leading cause of death for men and women in Bermuda. “We sincerely hope that everyone will participate and have some fun while educating themselves and making a difference,” he added. Loquats ripen. Loquats can be found on many trees throughout Bermuda, often growing wild. World Captive Forum (WCF) 201. The WCF features delegates from all over the world, including Europe, North America and Latin America. Bermuda’s business chiefs are out in force for this event. It includes several speakers from Bermuda including lawyers, regulators and business leaders. They use the event to try and bring new business to Bermuda. The forum’s location attracts a large number of delegates from the potentially lucrative Latin American region. There has been exponential growth in business from Latin America since 2000 when Bermuda started negotiations to sign a tax information exchange agreement (TIEA) with Mexico — the first agreement between an offshore jurisdiction and a Latin American nation. The TIEA with Mexico had been followed by others with Colombia and Argentina. They do not consider Bermuda a preferential tax regime — a tax haven. 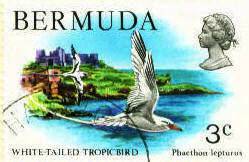 Bermuda had made other inroads into the Latin America market. Latin America is seen as a region which presents growth opportunities for the Bermuda captive market. Overall, the WCF has served as a good base for Bermuda to showcase its expertise as the largest captive domicile in the world. February. Bermuda Four Ball Championship. Second-last Friday in February. Bermuda National Budget Statement Day. Minister of Finance delivers his Annual Budget Speech on next financial year's government income, expenditure, taxes and more. The fiscal year ends on March 31. The Budget must be passed in Parliament prior to the end of the first quarter of the current financial year. Once MPs have approved the statement and passed the Appropriation Act, the Senate debates the Budget, with a maximum of 22 hours allowed for their detailed discussion on the different headings. Senators have no power to alter the Budget but need to have it approved so it can pass into law by March 31. Saturday, late February. Midshipman Dale Ceremony – St. Peter's Church, St. George’s. On this day a new marble gravestone was unveiled at the annual commemorative service for Midshipman Richard Sutherland Dale. The ceremony marked the continuation, in 2016, of an 80-year tradition and the 201st anniversary of the death of Midshipman Dale — the last victim of the War of 1812. The original is preserved beneath the new stone. Retired United States Navy Captain John Rodgaard saw the deterioration of Midshipman Dale’s tombstone on a recent visit to Bermuda. He enlisted the support of retired US Navy Captain Vance Morrison, and the US Naval Order, of which both men are members, made a generous donation to The Friends of St Peter’s for a replica of the gravestone. TS Admiral Somers Sea Cadets played an integral part of the unveiling ceremony, having been instructed in the traditional manner of folding a ceremonial US flag. Wreaths were laid by Governor George Fergusson, Linda Rosalik, who represented the US Consul, and Reverend Erskine Simmons, the chairman of The Friends of St Peter’s Church. A special wreath was also sent by Louise Hall Reider, descendant of Scarritt Adams, the originator of the ceremony. Midshipman Dale died in St George’s from wounds incurred in a marine battle during the War of 1812 on February 23, 1815. Eighty-two years ago this month, US Navy Ensign Scarritt Adams arranged for flowers to be placed on the grave and for many years the US Military commemorated Midshipman Dale on the anniversary of his death. This ended when the US Marines left their Bermuda base. However, the tradition was adopted by The Friends of St Peter’s Church, who now gather every year at Midshipman Dale’s gravestone. Actual dates/times of events below, and others, will be shown when published. March 1. St. David's Day. (A big day in Wales but not in Bermuda)..
Bermuda Match Play Championships. Mid Ocean Club. Bermuda Lawn Tennis Association's Mixed Doubles League starts. 23rd in 2020 Bermuda International Film Festival (BIFF). City Hall, Hamilton. Promises a spectacular array of films..
Captive Insurance Companies Association (CICA) International Conference. March 17. St. Patrick's Day. Celebrated in Bermuda. Emerald Isle Society Dinner Dance and imported Irish entertainment. Harvard’s Hasty Pudding Theatricals 2020, continuing a 55-year (in 2020) tradition. At Earl Cameron Theatre. This year’s musical production. Formed in 1844, HPT have put together 169 original productions, with Bermuda serving as the last stop on the tour since the 1963 then every year since. Oldest theatrical company in North America. First began as a secret society in 1795. Sponsored annually in the past by the Bermuda Government's Department of Tourism, now Bermuda Tourism Authority. Tickets, prices, times and more at phone 295-1727.